Employee Benefits are those benefits that an employee receives by virtue of being a part of an organization. These are benefits or perks which lie outside the monetary compensation of a company and have traditionally been limited to insurance, provident fund, etc. But all these are methods which have been done and dusted with. With the workforce employing a large number of diverse employees today, it has become extremely important that an all-inclusive employee benefits program, catering to the needs of all the employees be made. In fact with technology, today it is easy to provide a host of employee benefits that are extremely useful to them with virtually no cost incurred by the organization. The comprehensive modules of Vantage Circle aim to help companies to spur motivation among employees through privileges, benefits, rewards and recognition, and feedback that are the driving forces for employees to reach their full potential. Today, brands and retailers are willing to offer special prices to employees of esteemed organizations. We know that HR teams everywhere are struggling to fulfill the unique requirements of a diverse employee base within a limited budget. That's where a platform exclusively for your employees, housing all the best offers from India's top brands and retailers come in handy. 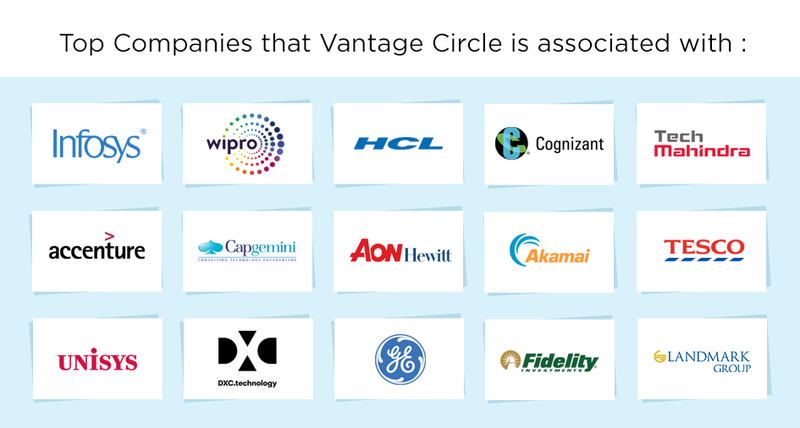 At Vantage Circle, we have more than 0.8 million employees using our platform and availing the best deals from top brands and popular e-commerce sites like Amazon, Flipkart, Samsung, Lenovo. 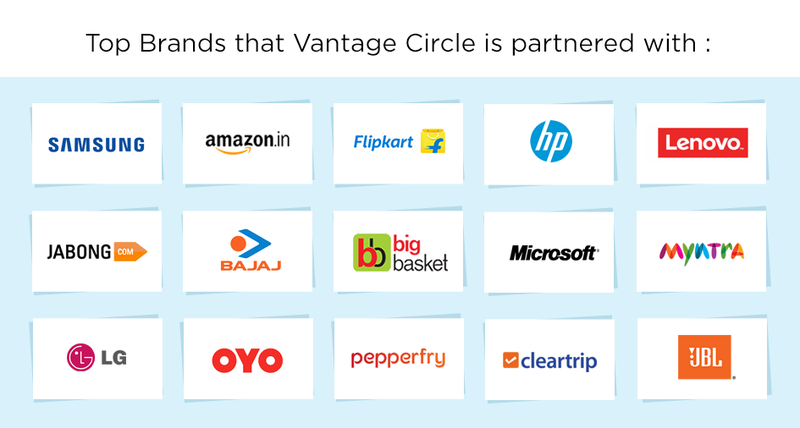 With instant access to over 100+ brands and 1000+ deals, Vantage Circle's Corporate deals is the one-stop solution to provide your employees with the best shopping privileges platform, and the best part is, it is at '0' cost to your employees. Our Corporate Deals module not only lists the best offers and deals but these deals are also verified and validated by our team on a daily basis so you can roll-out our Corporate Deals platform to your employee base and rest easy. We also have a special team that helps the users in case of any support related queries. 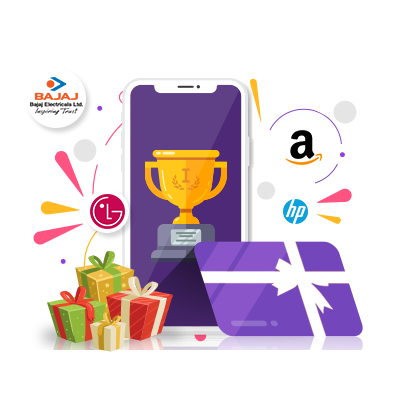 Companies like Infosys, Wipro, Deloitte, Accenture, Cognizant, BCG and many more have been using our platform providing fabulous discounts and offers to their respective employees. One of the key factors that drive employee engagement at any workplace is an effective employee reward and recognition culture. Vantage Circle's platform also works as a simple and easy-to-use rewards platform. 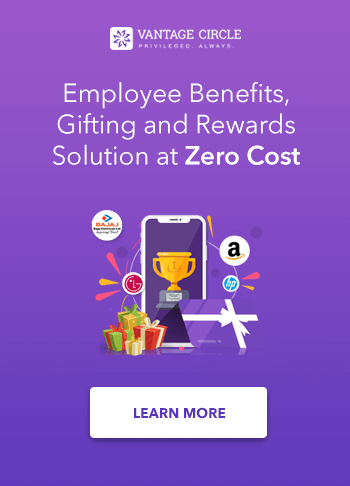 Here points can be allocated by the super-admin (usually a member from the HR team) to employees and employees can redeem these points against gift cards of more than 50 brands. This removes all issues such as damage, loss, theft, issues that come with issuing physical gift cards. Now your rewards can be single-click, instant and trackable. Employees also have a choice of redeeming the points against e-gift cards of their choice hence offering flexible choices to meet unique visions. As an organization, we are adding some modules based on feedback. The newest module that we have added to our platform is an Internal Classifieds section. Think of it as an OLX accessible only to your employees within an organization. The Vantage Classified hence offers a unique and trustworthy hub for employees to sell and buy products within themselves. This helps employees who are relocating, or are looking to sell off their old vehicle and other goods, etc. This module was a success as we saw great traction in with more than 800 entries on the first day at Cognizant. We understand that no single module or product is going to cater to all needs of your employee base, but with Vantage Circle you get a host of modules that genuinely add value to your employees, they come with support and '0' admin hassle and most importantly at '0' cost. So I urge you to take the step towards new-age employee benefits that cost '0'.